Warning: Read this before looking at the sortable list below. 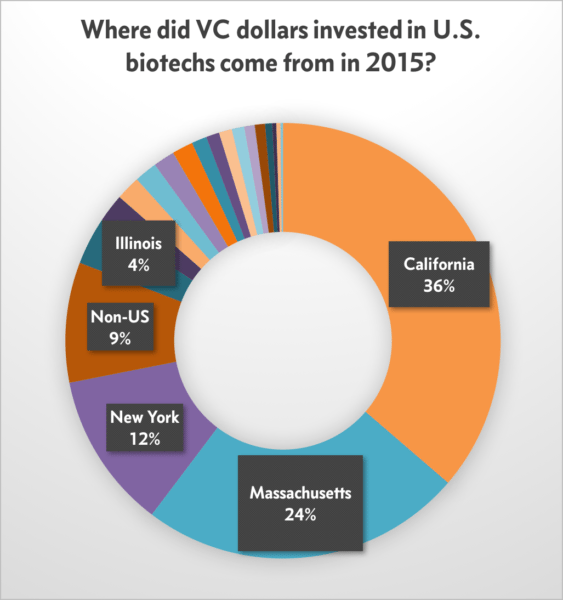 2015 proved to be the biggest year on record for venture investing in U.S. biotechs. A total of $7.7 billion flowed into a range of startups, some clustered in Boston/Cambridge and San Francisco, but with quite a large amount finding its way to drug developers off the beaten biotech path. This year the money has continued to flow at the same torrid pace, even though the IPO window for drug developers has dropped down to an uncomfortable squeeze space for the hottest, or most desperate, companies to aim at. Thomson Reuters’ analyst gleans information for these numbers out of press releases, SEC filings, and wherever else they can be found. Deal numbers are fairly easy to track, as the VCs and companies enjoy putting out the numbers on their progress. Specific dollar amounts invested, which typically aren’t announced, are much harder to follow. To come up with a dollar amount for the total invested by each VC, they took the total round reported and, in the absence of hard numbers, broke it down by averages. If 5 VCs bet $50 million on a company, that would count for $10 million each – even if the hard numbers don’t stack up that way. If there’s only one VC doing the round, that’s easier to keep track of. What you get is an approximation of the total, which is why New Enterprise Associates—a VC group with a $3 billion global megafund that likes to go in big—ranks at the top of the list. 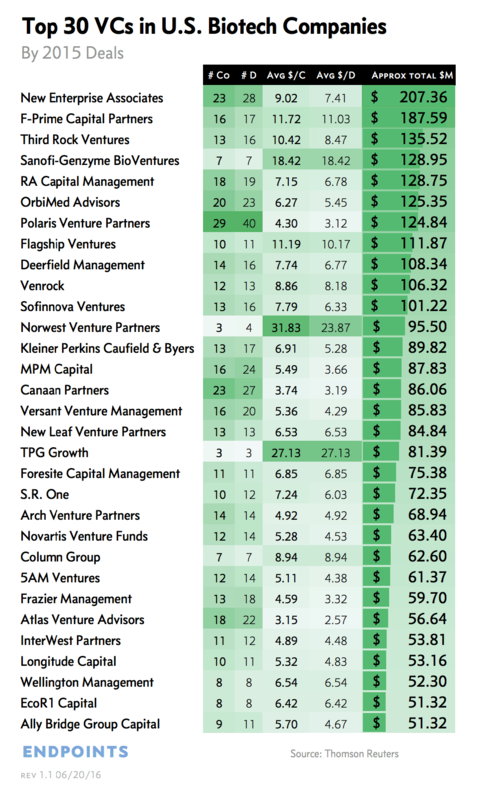 If you base the list on the number of deals alone, a busy Polaris comes out on top.Many of the most prominent VCs do much, much more than just offer money. Third Rock has launched a wave of new companies on both coasts, always dispatching a partner to play interim helmsman. 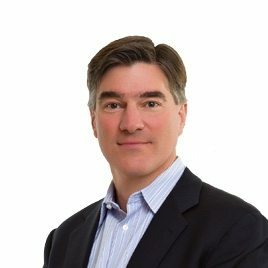 David Mott at NEA didn’t just back Mersana and its ADC tech, he grabbed the chairman’s spot on the board and has a hands-on role in management with CEO Anna Protopapas. 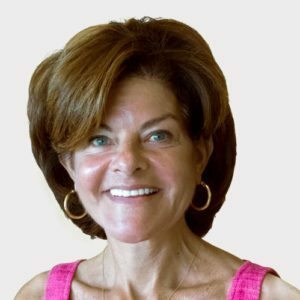 When Amy Schulman left Pfizer’s consumer healthcare division and later took up residence at Polaris, she swiftly settled into playing a key role at 7 companies: CEO of Arsia, co-founder Lyndra and a board member of 5 more companies. There’s also an interesting angle to watch in terms of the geography of money. Four of the top 5 VCs on this list are based in Boston/Cambridge. But California is home for 9 of the top 20. Throw in a couple from New York, close to the markets, and GSK’s S.R. One, with offices in Cambridge, MA and San Francisco as well as the pharma giant’s U.S. base in Pennsylvania, and you can see how the money at the top VCs stays close to the companies they invest in — or vice versa. That’s an important distinction, as many of these venture investors don’t like to travel far for a board meeting. If a partner has 7 companies to watch, they’re likely not going to want to go globetrotting constantly. And that’s one reason why London and New York continue to be shortchanged on startup cash. Fix that, and you’ll fix your hub development issues in up-and-coming territories. But trends are difficult things to fight, which is why San Francisco and Boston/Cambridge will continue to attract the lion’s share of the cash for some time to come. I expect I’ll get quite a few calls on this one. And I’ll be happy to update the numbers if firms want to open up.